An industrious saxophonist and imaginative composer-arranger. A crafty saxophonist and composer whose ambitious work over the past decade has eluded the wider recognition it deserves. Toronto native Andrew Rathbun is one of the most thoughtful and curious saxophonists to emerge in New York over the past decade. The Canadian saxophonist/composer is a gifted performer who writes challenging and complex pieces. Andrew Rathbun is an artist who takes chances with his recordings. You don’t hear any paint-by-the-numbers jazz discs from him. Rathbun remains resolutely in control (and coherent) at even the fastest tempos, and his balladry resonates with hard-won peace as well as pathos. 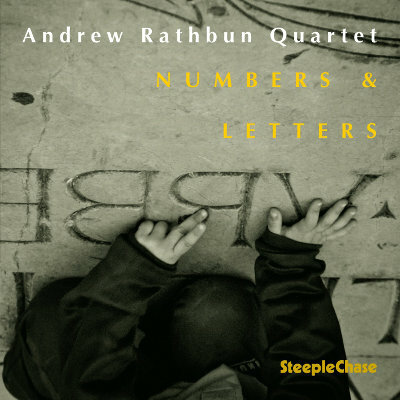 Numbers & Letters is another forward sounding set – his best so far, perhaps – by the prolific saxophonist/composer Andrew Rathbun and an inspired, first rate ensemble. Rathbun is an adroit stylist on tenor and soprano, composing memorably playful lines (the compositions were inspired by his two young children) and developing them with fleet, sometimes abstracted, sometimes effervescent lines. While Rathbun is responsible for the evocative compositions and arrangements, his superb band helps bring them to life. In addition to Rathbun’s edgy sax solos, listeners will be rewarded with the excellent piano work of Phil Markowitz, the great rhythm section of drummer Bill Stewart and bassist Jay Anderson, and on “Again?” the fine work of trumpeter Taylor Haskins. 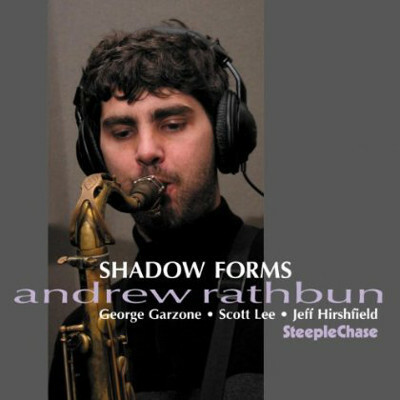 Since his debut as a leader in 1999, Andrew Rathbun has developed into one of the compelling saxophonists and composers of his generation. The Toronto native was based in New York for an extended period before relocating to take a faculty chair at Western Michigan University in 2012. He covers a lot of ground stylistically while his originals succeed on many levels, especially conveying emotion or projecting stimulating imagery. His band for this session consists of pianist Phil Markowitz, bassist Jay Anderson and drummer Bill Stewart, all veterans who make a difference on any record date. Markowitz, who was one of his professors in graduate school, is an inspired choice, named by NEA Jazz Master saxophonist David Liebman as his favorite pianist. Markowitz is an undervalued composer in his own right, but his strengths as an accompanist broaden the depth of Rathbun’s intricate pieces. Anderson has appeared with Rathbun on previous CDs and he teams with the insightful Stewart to round out the top-echelon rhythm section. 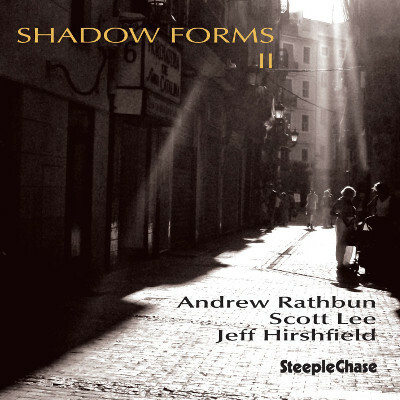 Those familiar with Rathbun’s earlier SteepleChase CDs will be delighted with his collection of new compositions. The tense “Bad Call” is a chromatic blues with a darting unison line by tenor saxophone and piano. Emotional soprano sax is the highlight of Rathbun’s brooding waltz “Tears and Fears”, which projects a sense of someone pacing the floor anticipating bad news; the interaction between the leader and Markowitz proves to be a powerful dialogue. Both the rambunctious “Playpen” and pacing “Sleep Please” were inspired by Rathbun’s experience of being a parent to young children. 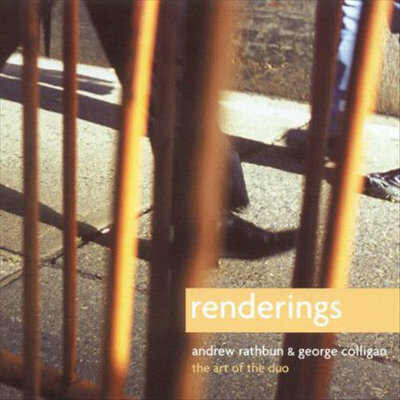 Trumpeter Taylor Haskins, who has also previously recorded with Rathbun, guests on the moody “Counterpoint”, highlighted by its conversational inter- play. The eerie “Again?” has a sense of foreboding emotional turmoil, highlighted by Markowitz’ inspired opening solo, leading to Rathbun’s longing tenor with lush harmony by Haskins, as spacious bass and off-center brushwork provide a potent backdrop. …his quartet shows itself to be a cohesive unit on Rathbun originals that range from the angular “Bad Call,” the aggressive “Sculpy” and the lively “Playpen” to slow, reflective offerings such as “Tears and Fears,” “Sleep, Please” and the title track. And whether a tune is relaxed or fast and energetic, there is never any doubt that Rathbun the saxo- phonist and Rathbun the composer are equally important parts of his artistic expression. One works with the help of the other. And when he plays his sax, one gets the impres- sion that Rathbun thinks highly of the work that tenor/soprano saxophonist Wayne Shorter did with Davis during that period. Canadian saxophonist Andrew Rathbun is now into double digits when it comes to bandleader credits. Previous projects have occasionally had a distinctive flavoring – Sculptures saw him join forces with fellow Canadian Kenny Wheeler while Rathbun set the verse of Ottawa-born writer Margaret Atwood on True Stories. 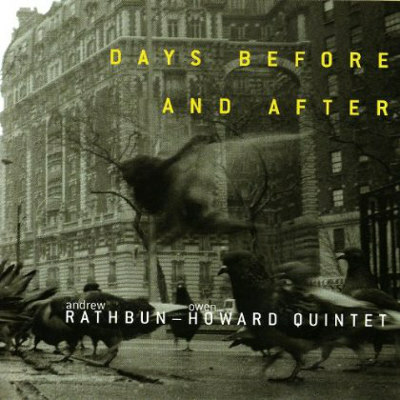 The music on this latest release, however, has a gritty cool character thoroughly in keeping with the jazz traditions of Rathbun’s current home of New York. The 11 originals draw on the leader’s experience as a parent of young children (“Playpen.” “Crawl Out,” “Sleep Please”) but his super-sophisticated quartet’s playing is entirely grown-up. Opener “Bad Call: is an energetic blues boasting a snaking saxophone line and some smart, crossed-wires piano work from Phil Markowitz. The sweet balladry of “Tears and Fears” has Rathbun stretching higher on soprano, while “Swing Set” and “Counterpoint” admirably fulfill the musical promises in the tunes’ titles. The quartet are profitably supplemented on a couple of cuts by trumpeter Taylor Haskins. 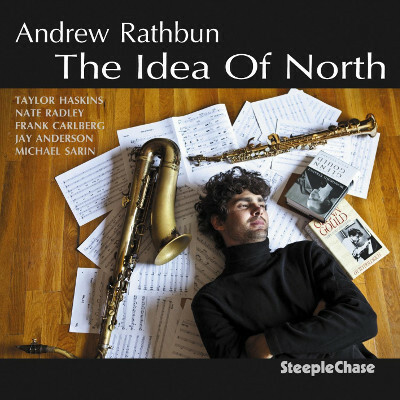 One of Andrew Rathbun’s crowning attributes must surely be his purity of tone, whether playing soprano or tenor sax or the illustrious bass clarinet. Most of the music is scored by all three musicians, but Rathbun and Lee have made some individual contributions too. One such piece stood forth particularly to my ear: Track 5, ‘Drums and Symbols’ by Lee has opening, melodious statements from the saxophonist which are followed by three further improvisational statements, but each is introduced and in turn terminated by audible nods from the drums. Fine play on words too. This mode never sounds like a device or a trick: it is simply a constructural methodology that allows the band to experiment with shape and that is important to the musicians, because the other side of their experimentation relates to their creating interactions between composition and ‘free-form’ or openly improvised music. The band, in the piece described, offers a complete paragraph of sentences made up of a number of clauses and phrases, each sentence carrying its full stop. Each sentence is a logical, melodic unit that anticipates further development – this leads to the paragraph. I have expressed this in this manner, as an acquaintance commented on his lack of understanding of jazz, but I wonder if he ever listens to it. The album is another variation from Rathbun, who likes to experiment with instrumental settings; he has tried duets and big bands before this. The three musicians sustain their empathy throughout all of their explorations of these richly coordinated and melodic pieces and the improvisations are perceptive and incisive. This is a very good album indeed and the music adapts itself to quiet playing in the background or a full- frontal performance on your super hi-fi. All three members contribute tunes and on their new album, they maintain an easy rapport whether swinging like mad or exploring color and space. Rathbun’s compositions are alternately mysterious, cerebral and free, performed with tight execution and extreme improvisation. …Original sophisticated images, highlighting his great, always probing sax sound, five smart comrades including excellent trumpeter Taylor Haskins and precise pianist Frank Carlberg, plus stellar use of counterpoint. Rathbun has in common with Wheeler and Wayne Shorter an exquisite ear for blending rich harmony and ear-catching melodies. The music of Andrew Rathbun draws into the composition, but requires you to stay for the performance. 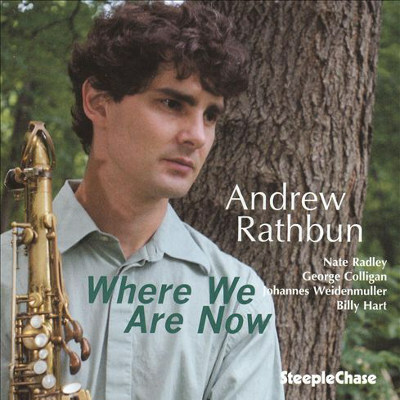 While there may be a socio-political spin to the title of the gifted saxophonist and composer Andrew Rathbun’s latest album, Where We Are Now, as there was on his earlier album, Affairs of State, the new title also calls to mind Aaron Copland’s notion put forth in classical circles, that a given music or composers work should tell is “what it feels like to be alive in out time and place,” at a particular moment. 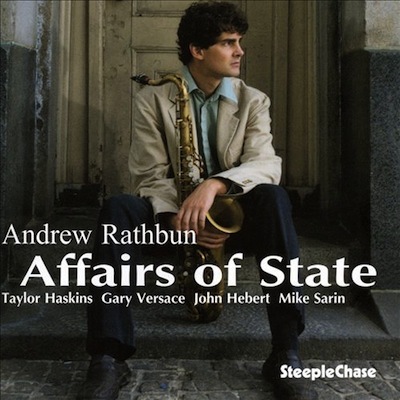 In Rathbun’s case, the sensations embedded in his music are both of the now and then, pushing ahead while taking stock of jazz’s past, particularly in the more reflective musings of classical-tinged lyricism and chamber-esque compositional ideas. His four-part “Son Suite,” dedicated to his son Drew, is the centerpiece of the record, and the music smartly balances tensions of harmony and rhythmic terrain with an overreaching introspective nature. 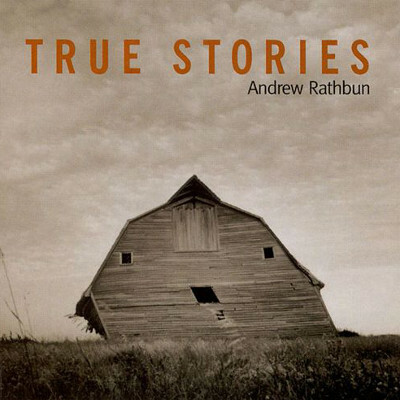 Pining, ruminating and wailing on soprano and tenor horns, Rathbun guides the emotional train of thought through a wistful waltz, Metheny-ish turns (featuring the nimble guitarist Nate Radley) and a final more floating passage, colored by drummer Billy Hart’s rumbling eloquence. 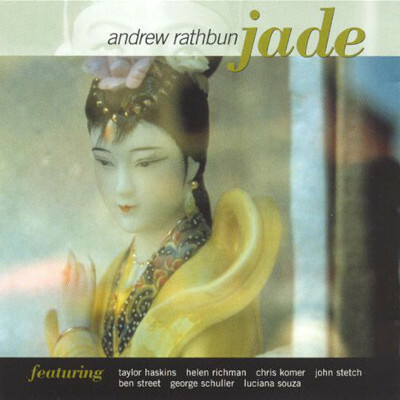 With the help of Radley, Hart, pianist George Colligan and bassist Johannes Weidenmuller, Rathbun has assembled a band keenly attuned to the needs and directions of his compositions, which tend to be painterly and thoughtful but never languid a key aesthetic feat. “Film Under Glass” lives up to the picturesque allusion of its title, and the closer, “No Longer,” sports a sinuous melody line navigated in the in-house sonic approach of sax-guitar articulation, before Weidenmuller’s ambling bass solo. Ironically or not, the tune “Lament” is one of the most driving tracks on the album, as if the song patently refuses to lament idly. Rathbun’s latest disc may be rich in chamber-jazz lyricism, but it never idles in areas of concept or momentum. This music has places to go and reasons for being. With impressive tone and phrasing, Rathbun knows his way around the horn, as he shapes personable and expressive solos. Who says political music has to have lyrics? For his eighth album, tenor saxophonist Andrew Rathbun – a Toronto native settled in Brooklyn – looks at life under George W. Bush, and comes away bemused, appalled, angry and upset. This isn’t protest music in the sixties ’60s vein, all shrieking horns and improvisational chaos; instead, Rathbun and his quintet rely on wit and understatement to make their points. 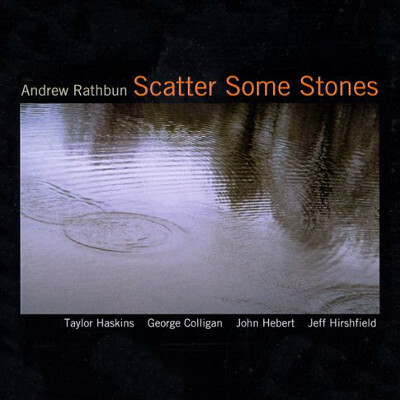 Like fellow saxophonist Mark Turner, Rathbun combines a cool, dry tone with a fondness for melodic-yet-cerebral improvisation, and has a perfect foil in trumpeter Taylor Haskins, whose playing manages to be both warmly expressive and nimbly aggressive. In all, an engaging, thought-provoking album. Politics aside, the music is very good strictly on its own terms. It’s substantial, contemporary jazz set to straight-eighth rather than swung grooves, featuring advanced harmonic material and compelling, modern melodies. It’s post-bop at its best, with the leaders technical facility apparent. He’s been earning glowing critical notices lately, particularly from fellow musicians. You ought to tune in as well. The program succeeds above all on musical grounds. 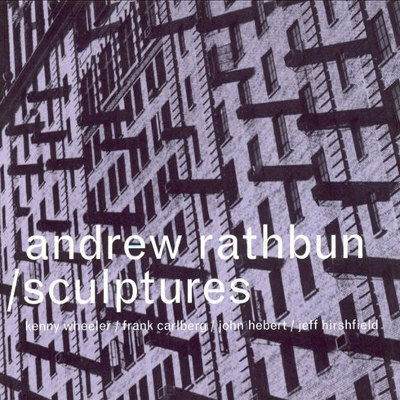 Rathbun is an advanced tenor/soprano sax improviser whose previous efforts, including his 2002 Kenny Wheeler collaboration Sculptures, are well worth acquiring. On Affairs of State Rathbun’s attractive sound and smart writing are ever present on nine originals composed for his own state of the union musical message. Lots to enjoy here, including sinuous interplay, the clever unraveling of the leader’s complex notions, harmonic prowess, attractive melodies and a sophisticated outlook that slips and slides to exhilarating, yet never overstated effect. Consistently thoughtful, well-crafted music in a mature idiom. This youthful reedman is respected by young and old as a dedicated musician whose talent deserves the international reputation that it is gradually gaining. For this latest disc on the SteepleChase label, the New England Conservatory trained Rathbun has undertaken the challenge laid down by Sonny Rollins about a half century ago – to play jazz without the comfort of accompaniment by a piano, guitar or other chording instrument. The harmonies are more implied – in the shadows – than manifest. But the playing is very real. Rathbun’s own “Ripple” establishes a catchy melodic figure that is presented in the context of a rhythmic matrix, which allows each player to spin-off a solo in a very organic way. The leader’s tenor sax comes first, with an insistent line that’s drawn through a flow of ideas about how it should be elaborated. Rathbun plays with the thoughtful assuredness and subtle muscularity of a true tenorist. The disc closes with a trio version of Rathbun mentor Kenny Wheeler’s “Onmo.” Rathbun, on tenor, toughens up his fellow Canadian’s trademark lyricism with a finely articulated solo that is so good it seems to be over too soon. Renderings emphasizes calmness and sensitivity without succumbing to somnambulism. Rathbun’s feathery and glistening soprano mixes with Colligan’s warm piano to create an almost classical atmosphere of inter- play…the songs evoke images of French impressionism with their emphasis on space and tone. Spacious and warm, Renderings is truly a work of art. Renderings focuses on a seamless blend of jazz and classical music and an imperceptible flow between writ- ten and improvised parts. For references, you might recall the abstract improvisations of Wayne Shorter and albums on the ECM label, with a spacious, through-composed quality. The compositions have a distilled directness. No notes are wasted. I like this album because it feels honest, as well as for the duo’s ingenuity and precision. The musicians show sensitivity to the material and don’t impose alien approaches when they improvise. They respect the compositions. …the project, crossing boundaries, is a full success: the music is knowing, absolutely contemporary in its approach, succeeding in crossing the transition between composition and improvisation as well as those between jazz and so-called melodic serious music. If you prefer a more jazzy and groovy sound, listen to Andrew’s previous release “Days Before and After.” Post and freebop from the New York jazz scene. Altogether, this music cloaks subtle avant-garde proclivities in soft light and open air. It’s by far the most compositionally ambitious record cited here, and it marks a fine entry in Rathbun’s-and Wheeler’s-catalogs of exploration. The New York based Canadian tenor and soprano saxophonist is serious about the difficult art of jazz composition… there is a breadth of instrumental tone skillfully deployed by Rathbun, and Wheeler’s gorgeous, lyrically unfolding lines are the key, most beautifully on the first extended track “Nameless.” Pieces often begin with solos, from which the theme itself gradually emerges; more lyrical longer compositions are broken up with brief, dissonant interludes to impressive effect. Toronto born saxophonist has issued a string of solid discs on the Fresh Sound label. On the latest, Sculptures, he led a fine band (including Kenny Wheeler) through a selection of ambitious, elegant originals. Definitely one to watch. A dreamy but taut album. Rathbun’s compositions are multi-dimensional. He uses style easily, moving from hard bop tones to freer time signatures, the gamut defined by the cohesive playing of the quintet. My impression of this album after the first listening was favorable. It wasn’t however, until my second listeming that the subtle and rich textures of Mr. Rathbun’s compositions started to come into focus. Each successive listening throughout the album delivered greater degrees to clarity, detail and appreciation… (Rathbun) is in possession of a level of harmonic depth and sophistication that would normally be associated with an older and more mature musician….its refreshing to hear a “younger” musician who is ready as a player and com- poser for his first album as a leader…In all of his solos he sounds very deliberate; going to unexpected places, using well placed silences as part of the overall contour of his statements. This is a rewarding album. Seek it out.